I also create card sleeves, so if you can't get into touch with him, you can always ask me. I love doing GFX designs. You can only have custom sleeves on DN when you donate. If I remember correctly, $1 = 3 days of Custom profile. You can have your own avatar and all pics for card sleeves as well as avatar pics are open. You can also upload your own custom sleeve pics, which makes it look cool. It's actually pretty cheap. Just $20 gives you 60 days of a custom profile which makes people really talk about you. 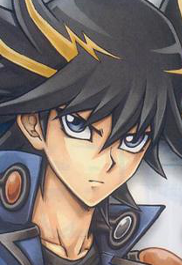 I only really see youtubers and the popular duelists use it. At one time, I used it too. Thinking about getting more again, I love custom profiles.